PEROU – Olleros - Specialists from the Regional Tourism Board of Amazonas have discovered a painted mantle of more than 250 years of age. The mantle, discovered packed in a trunk hidden in a church in Olleros,Chachapoyas.The mantle, which measures an impressive 6.8 by 3.65 meters, is covered in painted designs. Peru21 reports that the artwork includes Christian religious figures. According to RPP Noticias, the mantle is painted with scenes from Christ’s road to the cross, and was probably used to cover the church’s altar during Holy Week. 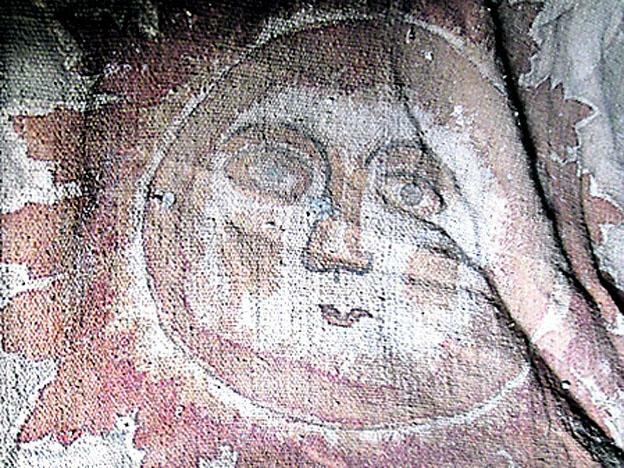 However, as Peru21 notes, the mantle also features relatively prominent depictions of the sun and moon, which could be a subversive reference to indigenous divinities.Manuel Cabañas López, head of the Amazonas Regional Tourism Board, told press that authorities are working to secure international funding for the restoration of the piece. Potentially, Peru21 reports, they’d like to display the mantle in a local museum once it has been properly restored. USA – Versailles - One of Kentucky early distillers, Oscar Pepper, is making history again, this time about what early farm life was like in the Bluegrass. Brown-Forman owns the Woodford Reserve Distillery near Versailles, on the site of the original Pepper distillery. Late this summer, archaeologists began excavating around the 1812 log cabin built by Elijah Pepper on a hill above Glenn's Creek, where the first distillery and grist mill were built. "We hoped to find any artifacts or architectural remains that would help fill in the picture of life there at the Pepper house," said Dr. Kim McBride, co-director of the Kentucky Archaeological Survey, which is a partnership between the University of Kentucky Department of Anthropology and the Kentucky Heritage Council.They knew that Elijah and Sarah Pepper built the cabin around 1812 and used the nearby limestone springs for a grain mill and for making whiskey. Stone buildings built from 1838 are still used today by Woodford Reserve, along with post-Prohibition warehouses. Elijah Pepper's son, Oscar, and Scotsman James Crow in the 1830s revolutionized the bourbon industry by using scientific and hygienic practices and writing down their processes, said Chris Morris, present day master distiller at Woodford Reserve. "We were really surprised and delighted to find the mirror image of the structure," McBride said. "The eastern room had been really heavily turned over to yard use. There was a drilled well in there, and it was right near the back door, so that area had been heavy yard work area. That didn't lead us to expect that this was really twice as big as what you could see on the surface. ... Often what you find underground is more complicated — when you find out what you thought was an end wall is a divider wall." They eventually uncovered stone walls measuring 44.5 feet from east to west by 17.5 feet north to south, with chimneys on the east and west ends and a dividing wall in the middle. The chimney on the east end was probably for heat but the one on the west end had a substantial fire box with a stone platform, probably large cooking pots, she said. "This was probably a combination kitchen and slave quarters," McBride said, which were common in that era. Records indicated the Peppers had six slaves when they settled in Woodford County and acquired more. "After 1865, we have the death of Oscar Pepper and the estate is in transition, and with emancipation the structure was probably no longer needed," McBride said. 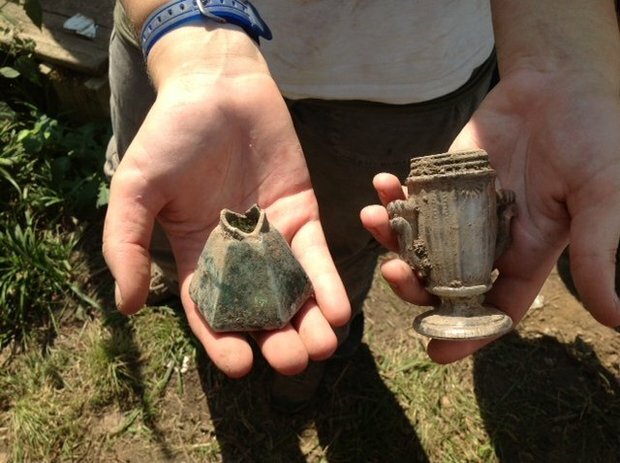 Many of the most interesting artifacts the archaeologists found were probably dumped into what became a rubbish tip. 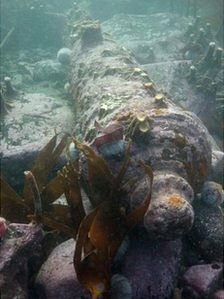 ROYAUME UNI – Farne Islands - Archaeologists exploring lost wrecks in British seas have discovered a collection of forgotten cannon off the Northumberland coast. A team of divers are exploring 88 wrecks lost before 1840 in a bid to find the most important historic sites. Now 19 cannon, some of which were undiscovered, have been found at the Gun Rocks wreck in the Farne Islands. 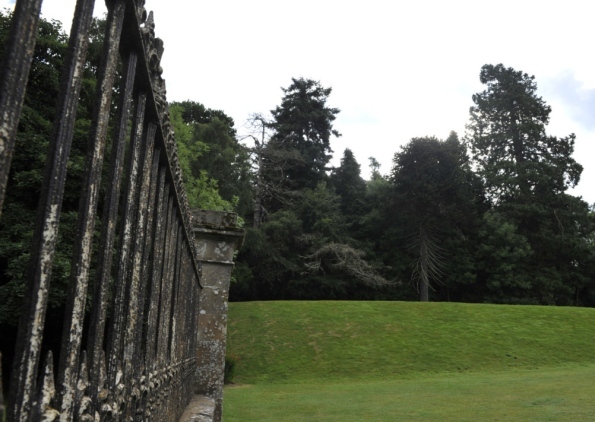 Archaeologist Graham Scott said they are now investigating the guns' origins which are thought to be from the 1700s. The cannon were discovered with help from a group who originally searched the site in the 1960s and 70s, along with English Heritage and Wessex Archaeology. ROYAUME UNI - Gamlingay - Evidence of Medieval buildings have been found under a field. An archaeological dig was held at St Mary’s Field in Gamlingay to check for items of historical interest before the area is turned into a cemetery. The houses’ post holes were found under the demolition rubble of 17th to 19th century buildings. They are believed to date from 1350 to 1500 with some still standing in 1603, when a map was produced. Project manager Stephen Macaulay from Cambridge based Oxford Archaeology East said: “We found prehistoric stone tools and remains of actual Medieval buildings towards the north and west of the site, towards the church. “They would have been wooden buildings with wattle and daub and thatched roofs. TURQUIE – Stratonikeia - Works are continuing in Muğla’s ancient city of Stratonikeia and the structures in the ancient city, including the Imperial Temple, are being restored using a unique 3D method. The Imperial Temple in the ancient city of Stratonikeia, in the western province of Muğla’s Yatağan district, is being unearthed using a 3D method. The head of the excavations in the ancient city, Professor Bilal Söğüt said they had been working to restore the important structures in the city and had discovered significant data every year. He said works in the area of the Temple of Emperors unearthed structures like a Roman bath, a temple, a Seljuk mosque and a Turkish house. Söğüt said artifacts from every era from the Byzantine to Roman and the Ottoman had been unearthed during the excavations. “We knew that a 2,600-year-old place of worship existed here. Research has determined that the Augustus Temple was built here,” he said, adding the temple found during the excavations dated back 2,000 years ago. He added that some of the sculpture-like artifacts found in excavations were being held in museums. “There were some sculptures in the temple. This is why ceremonies were held inside and around the temple. These ceremonies show that this area was [deemed] holy. But earthquakes occurred in this era and the temple, as well as many other structures, was ruined. Many of these structures could not have been revamped after the earthquakes, especially the one in 360. We found the temple’s columns,” Söğüt said. 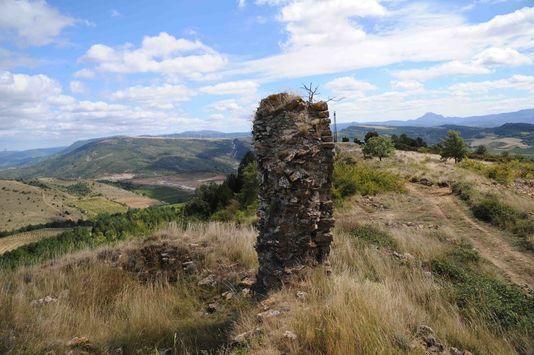 FRANCE – Saint Pierre le Clair -Fin août, dans l'Aude, un site archéologique connu, mais jamais fouillé, a été en partie détruit. Non par le feu ou le temps. Mais par un tractopelle venu faire place nette pour la construction d'une éolienne de 110 mètres de haut, l'une des six prévues par Alstom sur le site de Saint-Pierre-le-Clair. "Voici un bout de crâne humain, indique Christian Raynaud en époussetant un os plat ramassé par terre.Le chemin d'accès passe en plein sur le cimetière médiéval." Ce professeur d'histoire est le premier à avoir donné l'alerte. Face à lui, s'élèvent les ruines d'une église romane sur lesquelles un écriteau rouge prévient qu'"il est formellement interdit d'emporter des pierres". En contrebas, quelques puits, des murets entrelacés et un carré de terre fraîchement battue de 50 mètres de côté. "Avant les travaux d'arasement, c'est là que se trouvait la majeure partie du village médiéval", assure Dominique Baudreu, du Centre d'archéologie médiévale du Languedoc.Mensonge !, s'insurge Patrice Cathala, maire de Bouriège, l'une des deux communes accueillant le parc éolien. Là-haut, il n'y a que des cailloux empilés par des paysans et les restes d'une église récente." Ce qu'infirme Florent Hautefeuille, spécialiste de l'archéologie médiévale à l'université Toulouse-II : "D'après la configuration des lieux, il s'agirait d'un village médiéval créé au XIIe siècle et déserté au XIVe .